Core Aeration is one of the most beneficial services homeowners can have done for their properties each year, for a variety of reasons. It is our firm belief at Vetorino’s Fertilization that if you as a homeowner only chose to do one thing for your lawn each year, you make that service your annual Core Aeration. 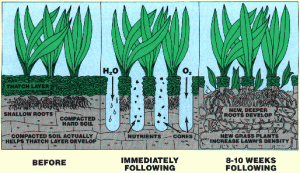 What does Aeration do? 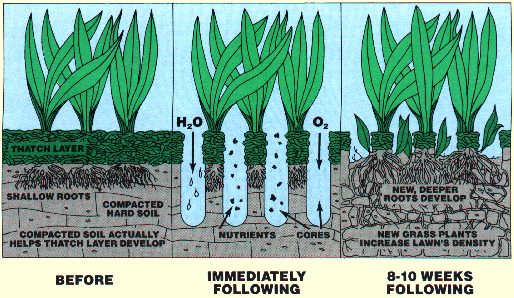 Aeration does a variety of things for your lawn, and listed below are our Top best reasons why every homeowner should aerate each year.